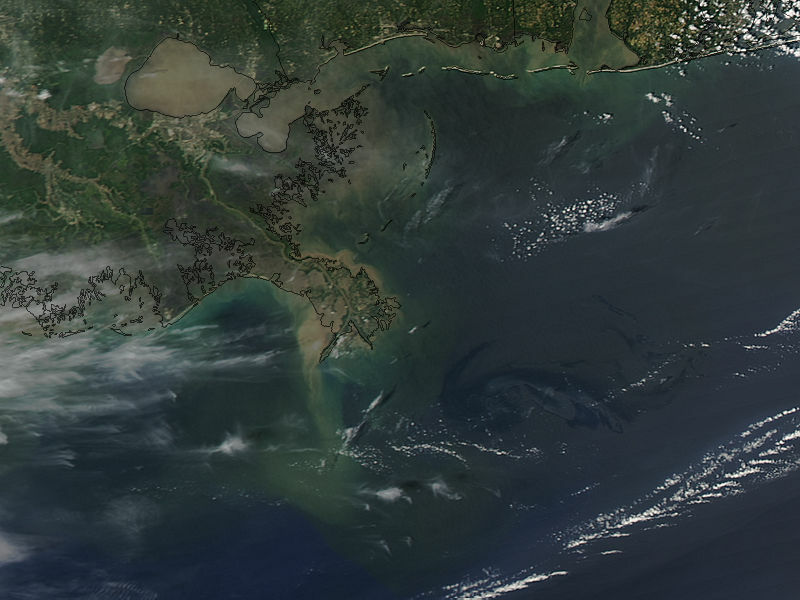 The NASA AQUA satellite got a a great view of the oil slick off Louisiana a few days ago (April 25)-- you can see it above. The oil is the white-looking stuff, reminiscent of an ink blob in some water. 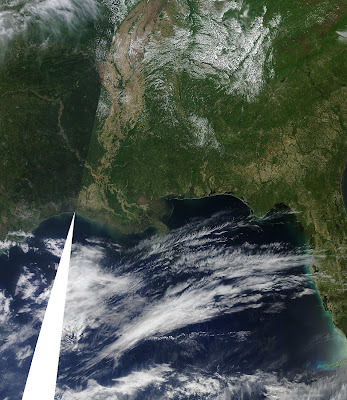 The MODIS sensor has amazing resolution (250 meters)--compare that to visible satellite imagery, which tops at at 1-km resolution. 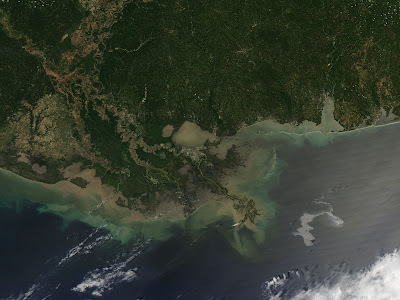 You can also see the particle-laden water exiting the Mississippi delta. The next picture is for yesterday, April 27th, is a close up and in this case the oil has a darker color. Finally, the image today is not as helpful, since there were lots of clouds overhead. 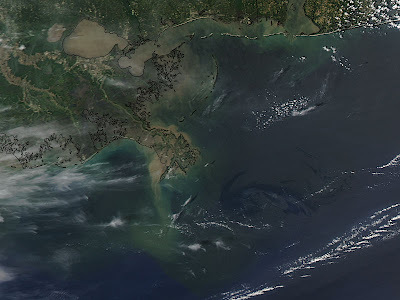 Talking about today, here in the NW we had another classic spring day with cool air aloft and destabilization of the atmosphere during the day as the surface heated up. Watch as the clouds are relatively layered (we call that stratiform in the biz) during the morning, but switch to bubbling cumulus during the morning and afternoon. You can see multiple wind shifts. Finally, there was some talk about the warm temps and strong winds on Monday. In some places like Arlington the temps rose into the low 70s as strong to moderate southeasterly and easterly winds descended the Cascades, warming by compression as it did so. 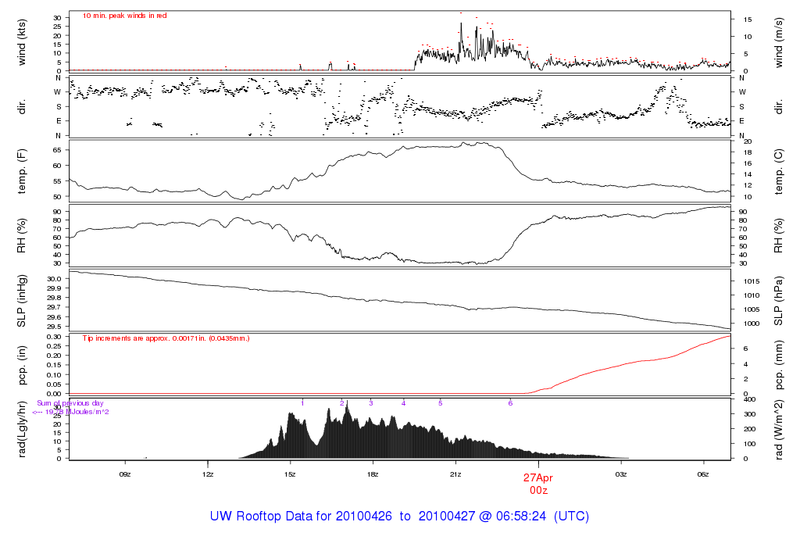 Look at the weather obs at the UW for Monday (click on the image to expand. 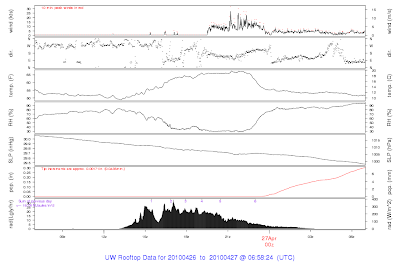 SE winds gusting to roughly 25-30 kts accompanied the jump in air temp to the upper 60s. At the same time, the relative humidity plummeted to around 30%--classic drying with downslope flow.